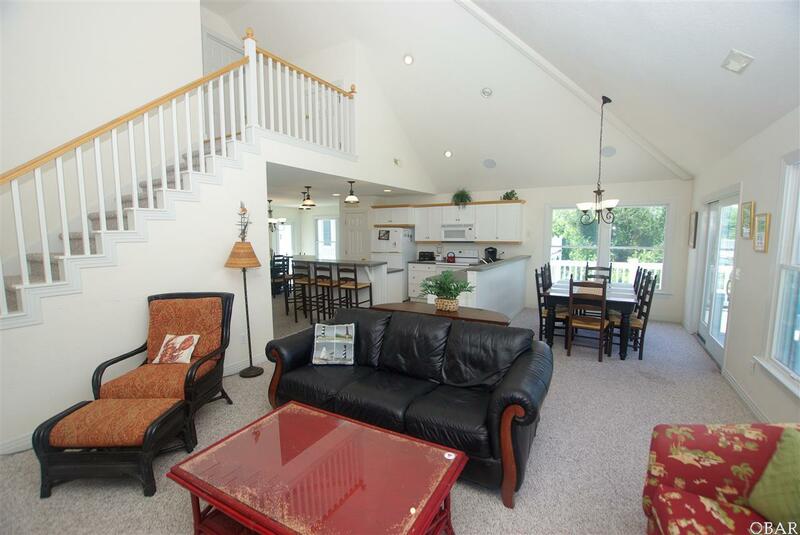 This fantastic home is located in the vacation community of "The Currituck Club" (TCC), and features a first-class "Reese Jones" designed golf course. Your entire family will enjoy the fabulous golf course views, playing in your private pool and spa area, gathering together in the spacious kitchen for meals, and lounging around watching movies in the family room. This is the golf and beach getaway combo you & your family are looking for. The beautiful 2nd- level master features private access to decks, along with its own private full bath complete with stand up shower and whirlpool jet tub. The first floor is great for kids with a room that sleeps 6 along with two other bedrooms and baths. As a bonus, this home boasts an extra room/bedroom and full bath on the top floor, a feature not found in similar homes in the subdivision its size. 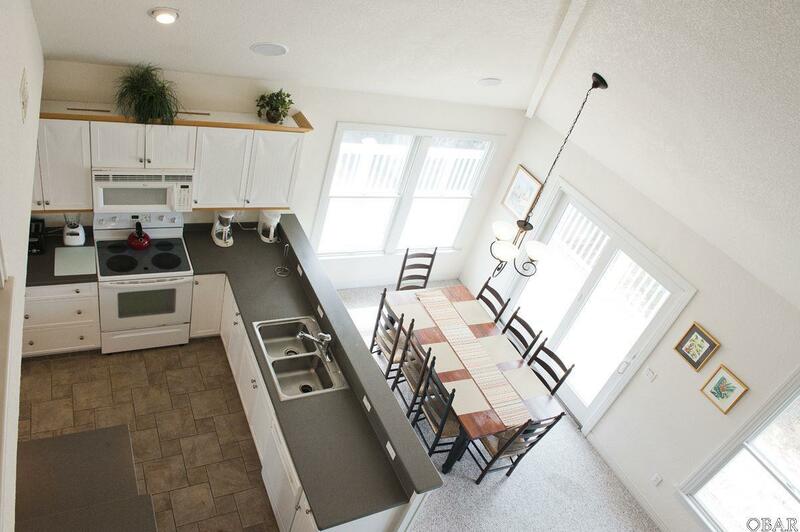 From the kitchen, dining area, and living room, you will find a large deck to enjoy breathtaking and memorable OBX sunsets overlooking the golf course. 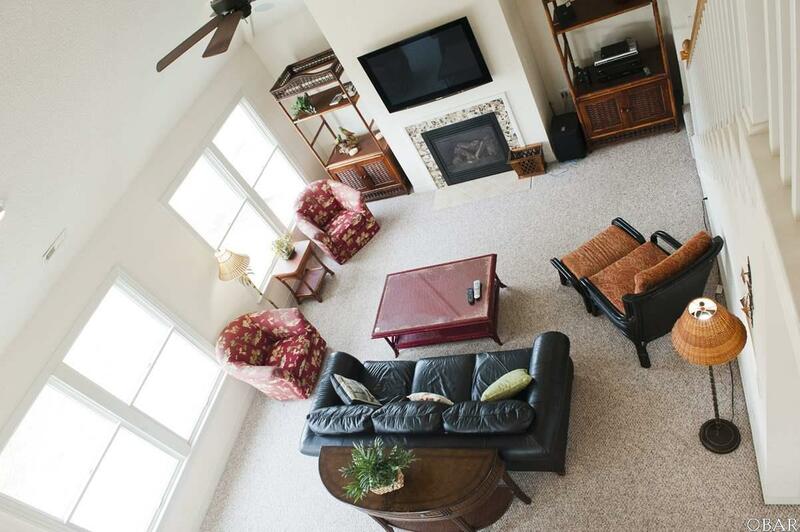 And after a great sunset, relax and enjoy a movie with surround sound in the great room. Slip out to the first floor screened porch overlooking the pool area or one of the other decks to enjoy some quiet time. The private pool and hot tub round out a perfect set of amenities. The property is located at the north end of the award-winning Hammocks subdivision on a large private cul-de-sac with minimal traffic, just steps from a large community pool and sun deck area. TCC offers easy access to a grocery store, seafood market, restaurants, and shopping. Heading to the beach, hop on the convenient community shuttle service transporting your group and their beach chairs to and from the beach. TCC is loaded with amenities including a top-of-the-line fitness facility, group shuffleboard, large community pools, and tennis courts, did I mention the "Reese Jones" designed golf course. This home offers something for everyone to enjoy and won't last long. Be sure you put it at the top of your must-see list! 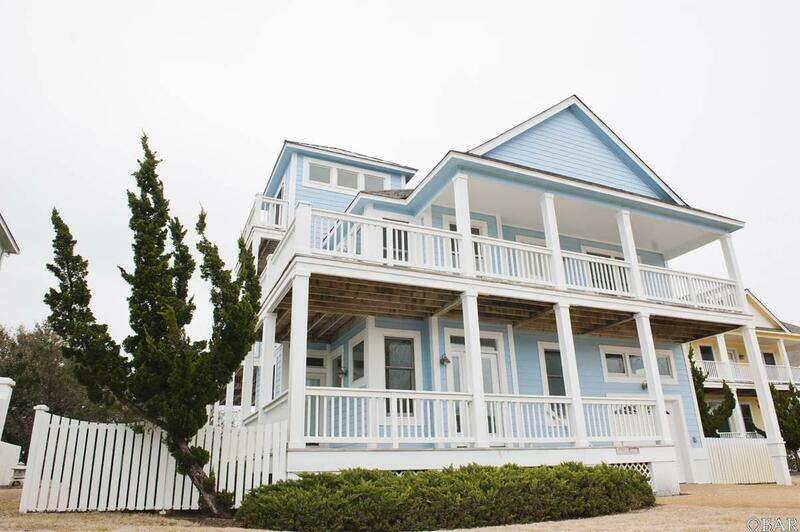 Listing courtesy of Everette Jennings of Coastal Outer Banks Realty.